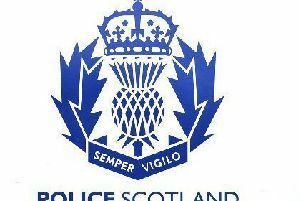 Entries from statutory records have been released onto ScotlandsPeople - the family history website operated by the National Records of Scotland. Entries from important statutory records have been released today onto ScotlandsPeople – the family history website operated by the National Records of Scotland. Digital images of 110,000 birth entries from 1916, more than 47,000 marriage entries from 1941 and 64,000 death entries from 1966 are now available for members of the public to search, view and save, no matter where they are in the world. The birth of Jessie Grant Kesson (nee McDonald) (1916 – 1994), who wrote The White Bird Passes. Born in Inverness on October 29, 1916, Kesson rose from humble beginnings to become an acclaimed author receiving honorary degrees from both the University of Aberdeen and the University of Dundee. An entry detailing the birth of Jack Milroy (1915 – 2001), the Scottish comedian, who was born James Cruden on December 28, 1915 in Govanhill, Glasgow. Being born so near to the end of the year, Jack’s birth was not registered by his father until January 17, 1916. Jack Milroy was best known for his double act with comedy actor Rikki Fulton. Jack played Francie in the famous comedy duo Francie and Josie. The death record entry for Alexander Carrick, RSA (1882 – 1966), one of Scotland’s leading monumental sculptors of the early 20th century. Carrick’s extensive body of work includes war memorials at Fraserburgh, Berwick and Killin in Perthshire. The 1941 marriage records reveal the details of those wed in wartime Scotland including one couple whose union was cut tragically short by the Clydebank blitz in 1941. They were married for just one month. Alexander Clarkson and Margaret O’Donnell were married on February 12, 1941 in a civil ceremony by the Registrar in the district of Old Kilpatrick. Sadly, Margaret was killed when the Benbow Hotel where Alexander and Margaret were residents was hit by a bomb on the evening of March 13, leaving only the shell of the building. Culture, Tourism and External Affairs Secretary Fiona Hyslop said: “These records give us a richer understanding of Scotland’s story and our people. The marriage certificates from the early ‘40s in particular provide further insight into the consequences of the Second World War, and how it affected the things we take for granted today.